When in doubt or in times of national turmoil - or, frankly, most days - the editors of the official North Korean news outlet pour on the superlatives, trot out the adjectives and pump up the rhetoric. "The land and sky of the country seem to bitterly cry," says one official news agency report about public mourning for Kim Jong Il. "Can anyone believe this was a reality? How lamentable it is! Isn't it possible for the hearts of all Koreans to bring him back to life?" says Korean Central News Agency, or KCNA. State media stories describe crowds overcome by grief and schoolchildren who "burst out sobbing before the portraits carrying his benevolent image that seems to be kindly calling them to come to him." It's all part of governing by cult-of-personality. But between the lines, North Korea watchers are looking for indications of where the fallen leader's son and chosen successor, Kim Jong Un, now stands. The son remains a mystery both abroad and inside the country. It was Kim Jong Il who created this cult of personality in praising his father and then taking on the mantle of national leader. "In a country where there is no religion, they are portrayed as demi-gods," Heritage Foundation Senior Research Fellow Bruce Klingner said in a telephone interview. When Kim Jong Un came onto the scene, his rise was marked with grand monikers. He has been described as both a "great general" and, this week, the "Great Successor." "In North Korea this excessive adulation is the norm," Klingner said. "Is it exaggerated? Is it real? It is a bit of both." North Korean authorities released a song called "Footstep" about the young leader, reports the London Evening Standard. 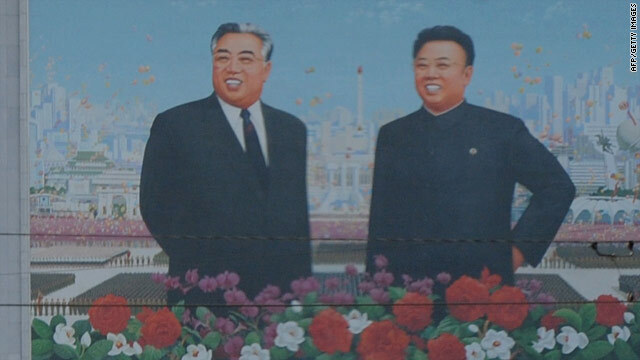 The lyrics describe the dynastic link between Kim Jong Un and his father and grandfather, according to the newspaper. North Koreans know it is required and to their benefit to be seen as grief-stricken, Klinger said. But those videos of wailing and stories of grief serve not only to help the government mark the passing of the father, but also to build up credibility for the son - and the transfer of loyalty to him. At times, the KCNA stories try to couple the grief for Kim Jong Il with praise for his son. One story, "Korean People Change Sorrow into Strength," quotes a factory worker saying, "We will turn our grief into a hundred- and thousand-fold strength and courage and support great Comrade Kim Jong Un with increased steel output." "Some of the grief is real. But also, if you are told that a strong and righteous leader is ready to take over, it may reassure the country," Klingner said. Journalist, author and academic Mike Chinoy says this is all to be expected. "North Korean style is to be very over-the-top in the language they use about leadership," he said. The former CNN journalist, who is senior fellow at the University of Southern California's U.S.-China Institute, said the challenge for North Korea is to speed up the country's familiarity with the Kim Jong Un: "The son is a blank slate. They face the challenge of building up his image and reputation faster than they might have done." Chinoy, who has traveled to North Korea 15 times, said early indications are that the transition is going relatively smoothly. "I don't see signs of discord or signs this is problematic," he said by phone from California. "The challenge is create a cult." No kidding, wow, out there man! don't get involved in that stuff. it will just make you sick. plus, it's probably a lie. NEW – NOT LIABILITIES OR DISCRIMINATION, BUT INSTEAD ASSASSINATIONS !!! WHY TO ACCEPT LIABILITIES FOR CRIMES COMMITTED WHEN WE CAN SIMPLY ASSASSINATE OUR VICTIMS(YOU) THANKS TO HUMAN RIGHTS ORGANIZATIONS AND FREE PRESS/MEDIA(most severe censorship ever !!!) !! This news is related to WHITES AREN’T WELCOME IN AMERICA ANY LONGER !!! OUT OF AMERICA WITH WHITES NOW !!! You are a complete blithering idiot. If there's so much censorship then why hasn't the NWO shut you down yet?